Here at Plan Bee, as eco-innovators we’re always tracking up and coming trends. Already this has helped us to identify a number of new products such as our exclusive Keralan Cinnamon Infusion variety. This strong south Indian spice permeates through our award-winning honey to leave a spicy after note, which tastes like Christmas in a jar. One area where such flavour trends are more marked is the alcohol industry. Already numerous bourbons and whiskies are turning to a cinnamon infusion. But we wouldn’t be earning our ‘eco-innovator’ tag if we weren’t pushing the boundaries and turning these trade reports on their head. 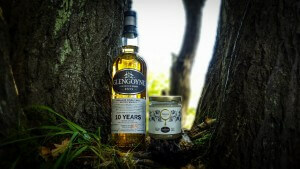 At the very end of last year renowned Swiss flavouring and fragrance manufacturer, Firmenich came out with its proclamation for Flavour of the Year 2015, and that flavour was (drum roll)… Honey. Tick. Jack Daniels and Jim Beam had blended it with their bourbon, and Irish whiskey maker Bushmills produced their Irish Honey whiskey. But what could we do as an elite producer of award-winning honey? 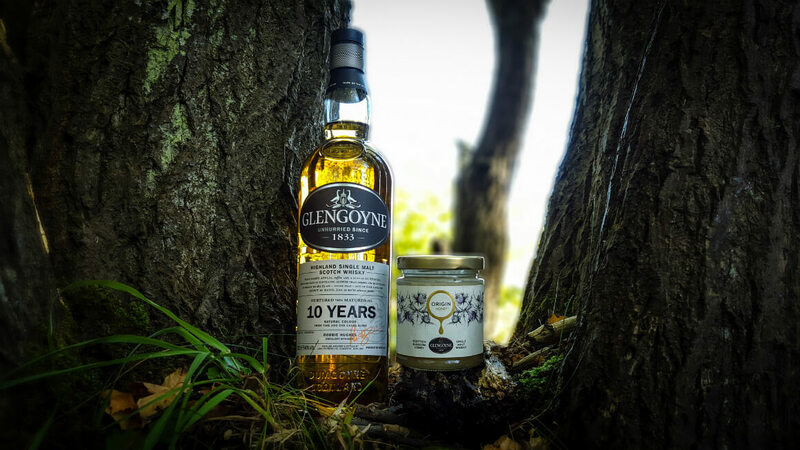 Turn it upside down, work with one of Scotland’s most sustainable distilleries and come up with Great Taste award-winning Blossom Honey blended with Glengoyne 10-year old malt whisky. Over the last few months the product has proven extremely successful, with visitors to the BBC’s Good Food Show and other recent events snapping up the product. Most notably our whisky infusion is now being sold in Japan and in Switzerland’s exclusive Globus department store. The snow might not be falling just yet, but there’s been a flurry of award nominations at Plan Bee Ltd this week. Plan Bee has been nominated for the prestigious ‘Excellence in Enterprise Mentoring Awards’ by the Mentorsme network, which is an online gateway for small and medium sized companies looking for guidance through the choppy waters of the first few years of trading. The Motherwell-based company was nominated in the busy Export & Innovation category. The awards bring together businesses and mentors from across the UK to showcase their achievements and celebrate the power of enterprise. 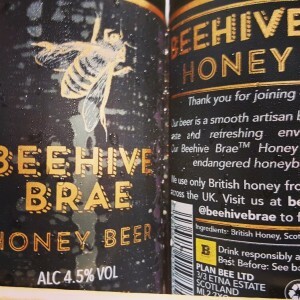 Plan Bee, was mentored by Mike Lees, the former managing Director of Tennents Caledonian Breweries. The company has received great support and advice from many of its partnership businesses in beehive management. These range from small family run businesses to global household names the likes of Highland Spring, Kellogg’s and L’Oreal. Plan Bee has also received great support from Scottish Enterprise and the Scottish Chambers of Commerce (SCC). Plan Bee has also received a plethora of award nominations from the Free2Network Business Awards, with nomination in the categories of Corporate Social Responsibility, Green Business of the Year and Businessman of the Year. The UK’s bars are buzzing with news of the latest British beer and its refreshing environmental credentials. Beehive Brae™ Honey Beer incorporates one of the hottest trends in the alcohol industry with a staggering sustainability pedigree that makes it one of the most environmentally aware products in the market. The creation of Beehive Brae™ Honey Beer and its stablemate mead were only made possible following a crowdfunding project in 2014. Plan Bee was 175% overfunded, and from that investment developed the multi-award-winning Origin Honey™ brand and Beehive Brae™ products. “Generation Bee is the up and coming age, where socially and environmentally conscious shoppers are voting with their wallets and spending their money ethically. We believe this extends to how they want their beer. Beehive Brae is sustainable from the outset and enthusiasts can drink responsibly in the knowledge that their purchase uses purely British honey, and is playing an important part in protecting the environment”. Latest research also suggests honey is a growing trend, and has in recent years proven strong, with sales of drinks containing ‘honey’ in the description increasing by 29% and in cocktails by 60%. This artisan, blonde ale is surprisingly smoother than people may at first imagine, with a subtle honey taste coming through.